We love us some classic golf gifts. There’s tons of stuff out there, from ridiculous gag gifts and funny golf signs to golf clothing or the latest gear. But if you’re looking for something with class, and you don’t want to have to worry about the golfer’s shoe size or grip preference, here are 18 classic golf gifts that any golfer will appreciate. 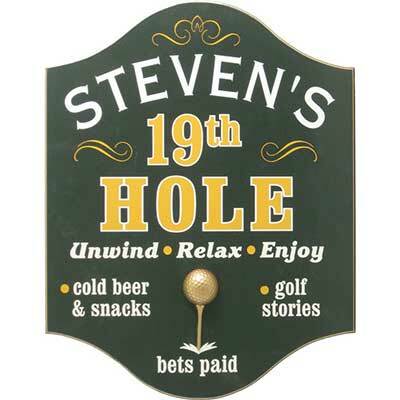 Made in the USA from solid wood and custom silkscreened with your name, this 19th Hole Golf Pub Sign is a great gift for the golfer’s man cave and comes ready to hang. The classic golf gift for an avid reader and golfer. 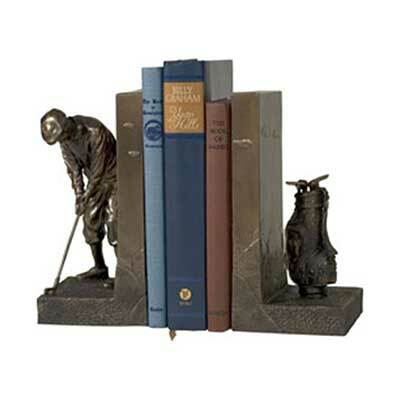 These Golf Bookends feature a man lining up his swing on one bookend, with his clubs secure in the golf bag on the other. Made from real oak wood to look like the top “quarter” of an oak barrel, the 19th Hole Quarter Barrel Plaque is a golf-themed take on the classic tavern decor standard. 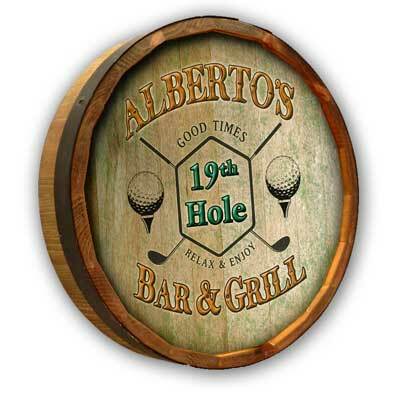 Combining laser engraved precision with poly-arch lithographic printing to add splashed of color, this golf plaque is a great vintage-style accent to your golfer’s home bar & grill. 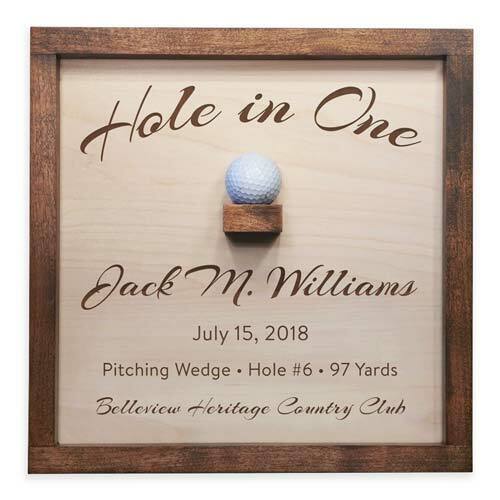 Crafted in the USA from solid wood planks, this vintage style distressed wood plaque is customized with the name of your choice and includes a hand crafted three-dimensional crossed clubs and beer mug relief emblem. 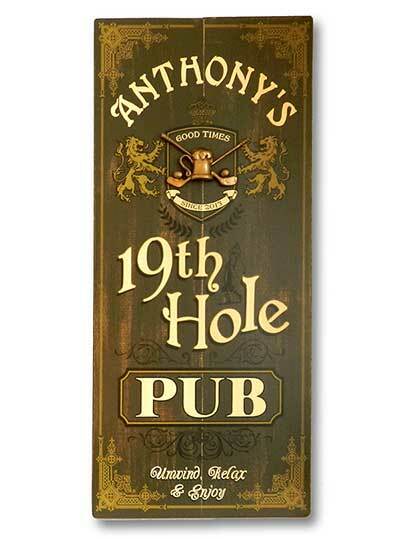 American made quality with classic antique style, the Personalize 19th Hole Pub Sign is a great golf gift that comes ready to hang. Any avid golfer will love this golf gear closet storage system. 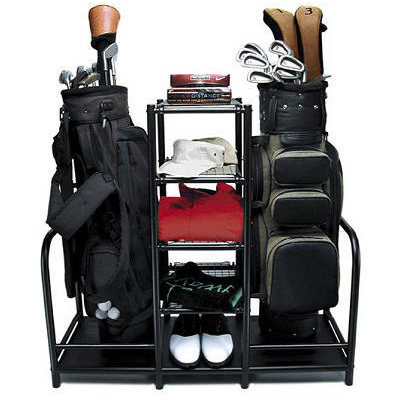 In compact space (just 39″ wide), the Golf Gear Organizer Caddie can store two club bags along with five shelves for your cleats, hats, golf balls, and other accessories. This attractive keepsake box boasts American-made quality, constructed with solid walnut wood and a glass lid and including free personalization on the front name plate. The interior foam insert is cut for you to hold any number of golf championship rings from 1-20, and is easy to modify if you need to add more rings. Optionally, you can also engrave the glass on the lid, which creates a really nifty effect. The Golf Championship Ring Box is one of our most popular classic golf gifts, perfect for the golf champion in your life. 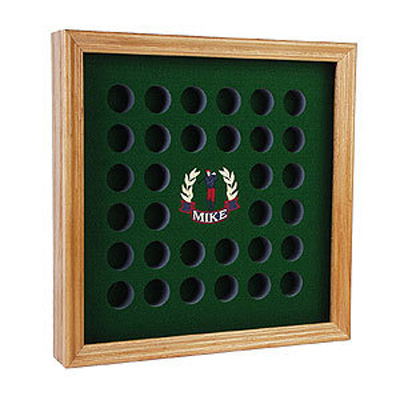 The Personalized Golf Ball Display Case, shown here in the Large size with plexiglas Lift & Slide protective cover, is custom embroidered with your golfer’s name or initials in your choice of four classic golf emblem. 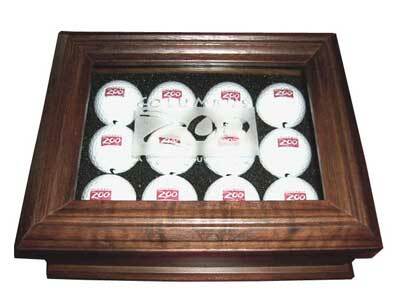 The golf ball display case holds 28 or 32 collectible logo golf balls (depending on the emblem you choose), and is also available in smaller or larger sizes. This beauty is handcrafted in a small Oregon wood shop using solid wood and lovely stains and includes custom engraving of the details of your majestic shot. Arrives ready to hang and display your very favorite golf ball. 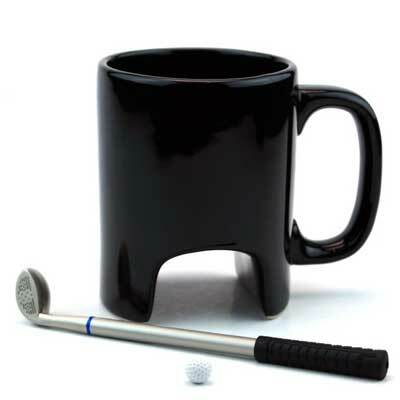 If your golfer loves coffee but is tired of the same ol’ #1 Golfer Dad mugs, get the Tee It Up Golf Coffee Mug. 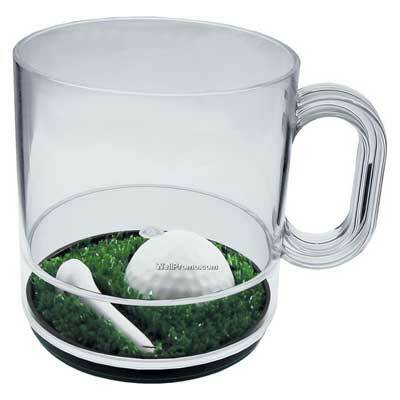 The clear glass coffee mug has a compartement in the bottom with a golf ball and tee on putting green grass. The Executive Golf Mug really needs no description. Coffee, golf, fun. 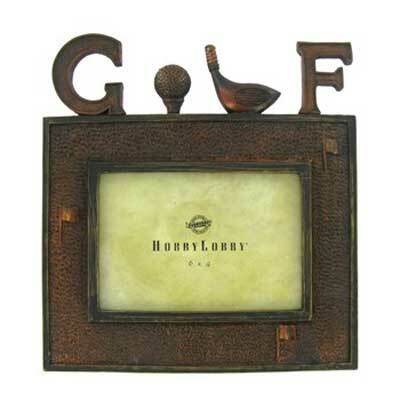 This gorgeous Golf Photo Frame is a modern twist on a traditional golf gift. Holds your favorite 6×4 golf picture. 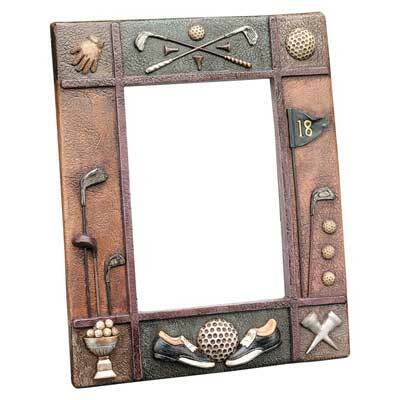 This fun Clubhouse Collection CLassic Golf Picture Frame includes imagery of golf clubs, balls, tees, the 18th hole, gloves, cleats, and trophies in an homage to all things golf. It’s a divot fixer. It’s a tee hole punch. It’s a pocket knife. It’s a bottle opener. It’s affordable. And it’s customized just for you. 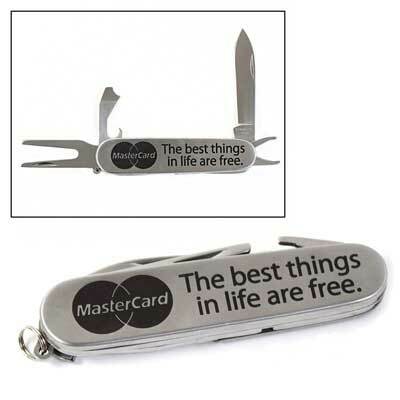 The Personalized Golf Tool Pocket Knife is, quite simply, the perfect golf gift. 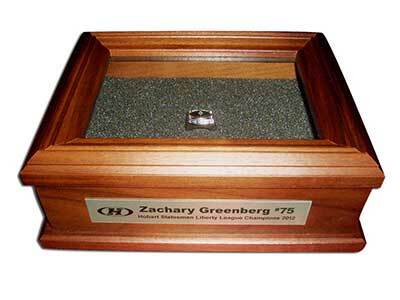 Same as the Championship Ring Box (above), but with a nifty insert which is designed to hold up to 12 golf balls. Made in the USA from solid premium walnut wood, the Golf Ball Keepsake Box includes personalized etching and is perfect as the box to hold your gift of custom or collectible golf balls. Shaped like the number one, the Hole in One Award #1 is a fun way to display the golf ball and details of the ultimate shot. 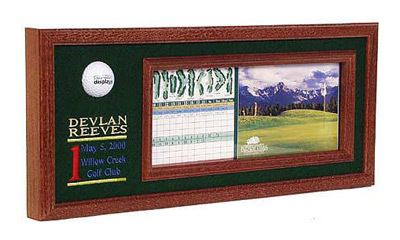 Commemorate a golfer’s once-in-a-lifetime hole in one by giving them this customized rosewood finish display. Custom embroidery, American made quality, and elegance of composition make the Hole in One Display with Custom Embroidery a premium way to display the hole in one ball, scorecard, and details from the day. 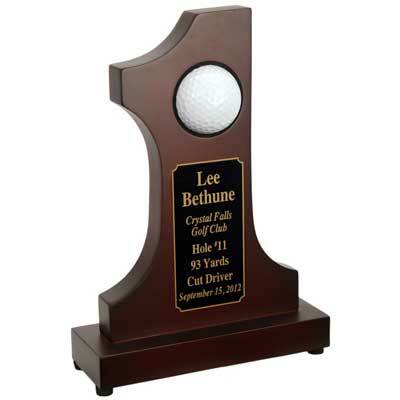 Our most popular hole in one award, this display is the epitome of a classic golf gift. Any serious golfer is going to want his (or her) ride to have a bit of golf flair to it. 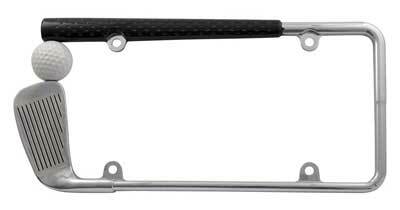 The Golf Clubs License Plate Frame is the ideal gift for them, simply showcasing their love for the game with a club bent around the license plate, held together by a golf ball. 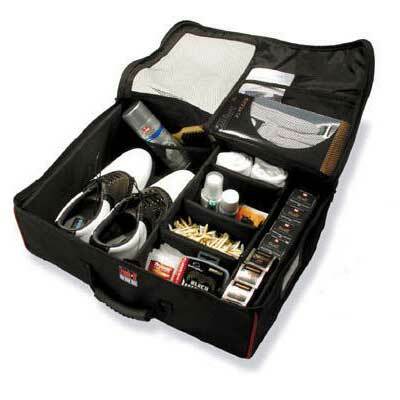 Keep all that gear from rolling around in your trunk with the Trunk-It Golf Gear Organizer. A perennial best-selling goft gift around the holiday season, this handy zippered organizer has room for cleats and an abundance of additional necessities.